On Monday the school hosted this years first Fondue party! All our students were invited along with some friends of the school. It was the first time many of our students had cheese fondue. They had a lot of fun and are looking forward to the next school event. It is also exams week! Our students have been working hard preparing for the exams all week. 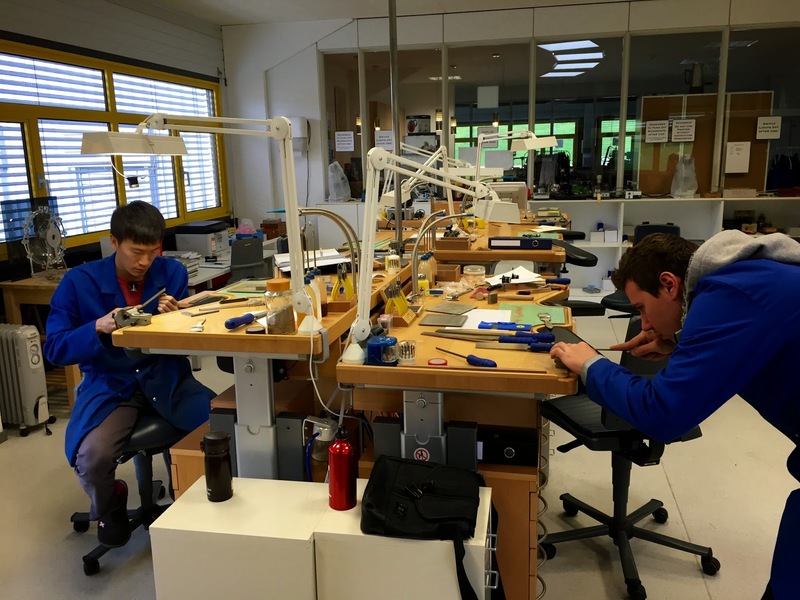 The first exam consists of filing two pieces of brass into specific dimensions within the tolerance of 0.05mm. Simone made a shuriken-shaped screw with the lathe and milling head attachment.